Catholic Church has been infiltrated, already 100 years ago, step by step. This is the mean reason of its crisis. 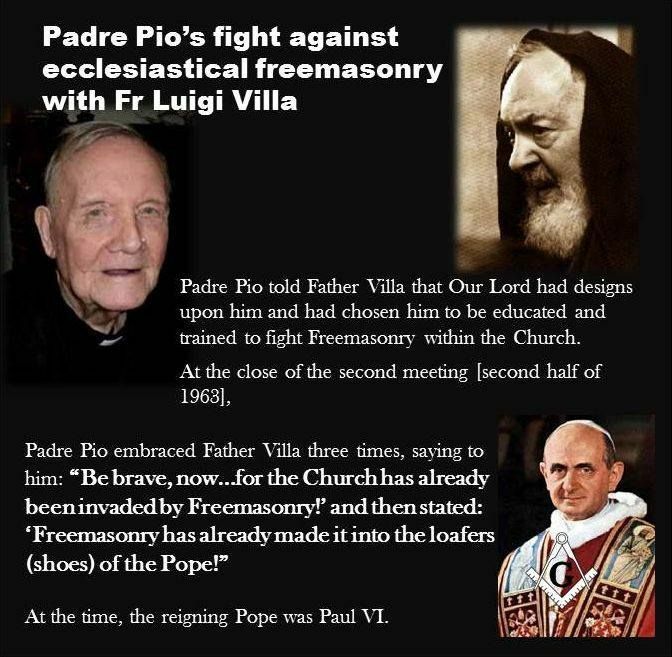 It has been proven by Don Luigi Villa, a theologian sent by Padre Pio to the Vatican, with the mission to unmask the infiltrated in the Church. This entry was posted in Crisis in the Church, Pope, Postconciliar by Julien Laurent. Bookmark the permalink.